May 2014 issue. 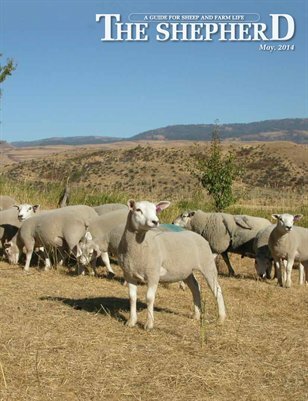 A national monthly sheep and goat industry magazine. From small flocks to large range herds, producers can turn to The Shepherd for the best information on: • Breeding & reproduction • Nutrition • Animal husbandry • Management • Disease & parasites • Pasture management • Marketing • Feeding strategies • Wool • Research & development • Lambing/kidding • Cooking • Guardian animals • Breed profiles • Industry resources.